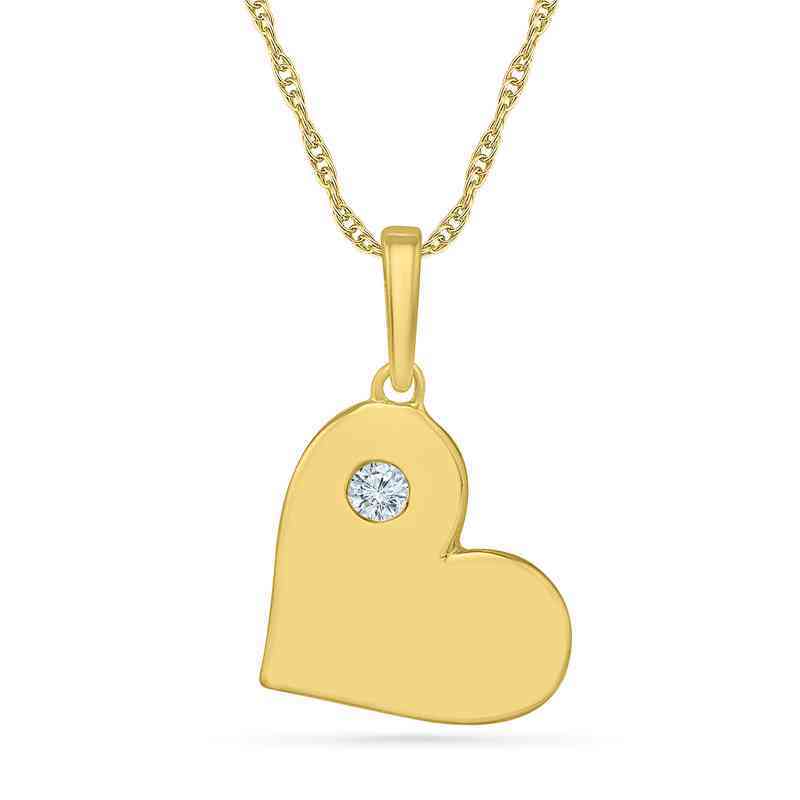 Share your love with a sparkling heart pendant. It features 14k yellow gold plating with a polished diamond accent. Dramatic in length, the heart pendant suspends along an 18 inch rope chain. Manufactured direct from a trusted supplier.